Often, our customers are interested in the CNC Tensilkut III to gain the ability to clamp multiple blanks into the machine, start it and have the freedom to do other things while the machine cuts specimens unattended. To that end, we typically set up the CNC Tensilkut III with multiple work stations, so several specimens (typically between 4 and 6, depending upon the size) can be cut at once. 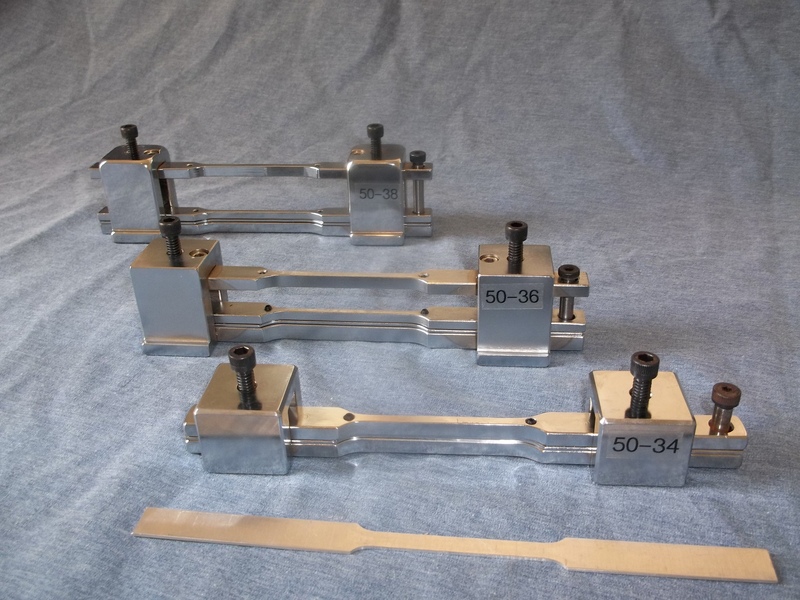 This is a typical table, configured to clamp 6 strips for the preparation of ASTM E8 samples. Once the strips are clamped to the table, the specimens are chosen on the included computer, using our Windows-based point and click system; the machine then runs through its cycle without any operator interaction. When it’s finished, the CNC Tensilkut III shuts down, indicating that it’s safe to open the front door and remove the specimens, at which point it can be reloaded for another set of specimens. 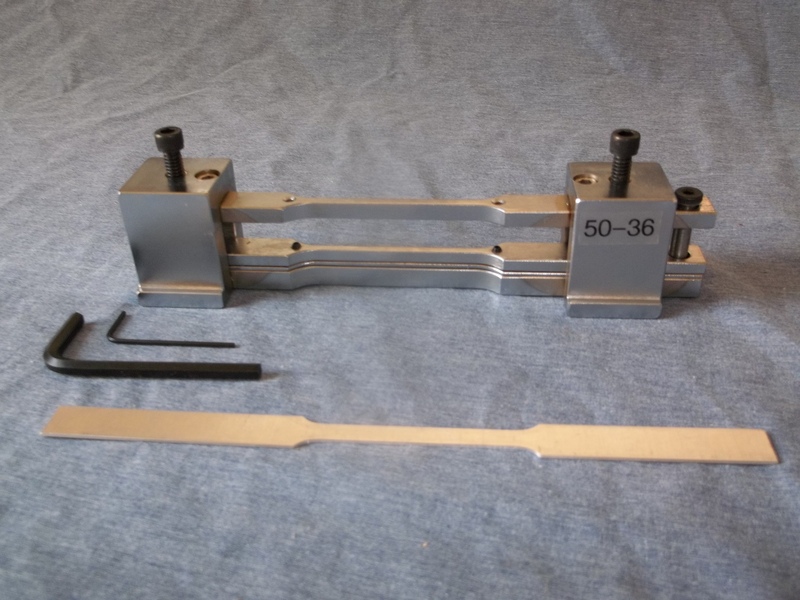 When located in the testing lab, a Tensilkut machine lets you cut your tensile bars as you need them, on your schedule. 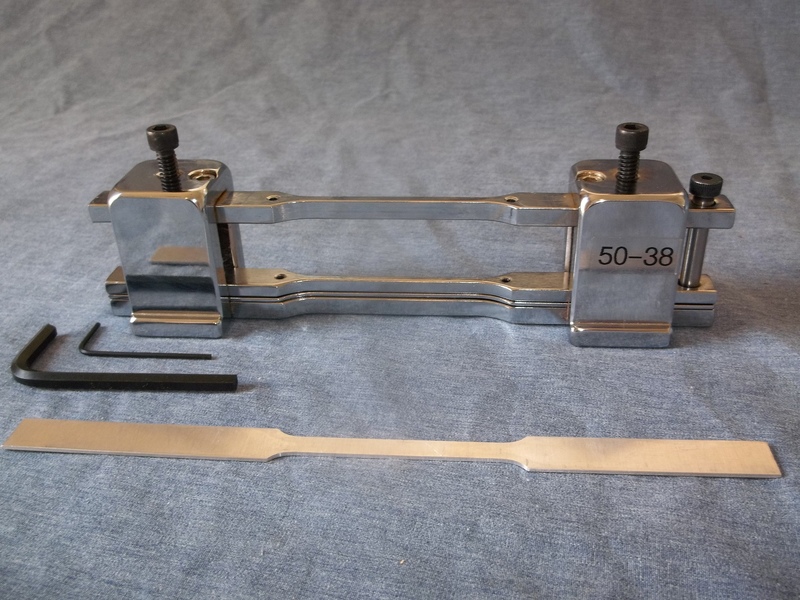 Turning round tensile test bars has always been a difficult and tedious process. 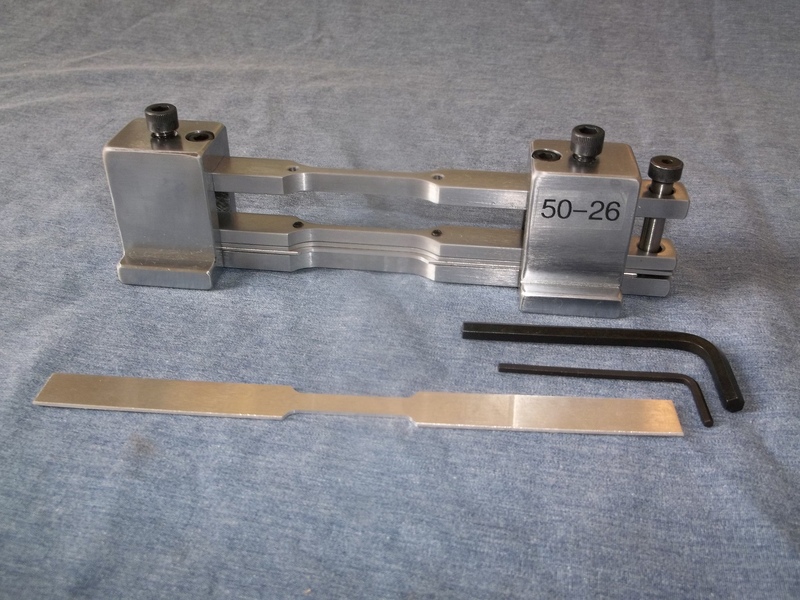 A full charge machinist can turn a test specimen using a lathe, but it will take some time, and, unless the machinist is fastidious, it may not be within the tolerances required by the specification. 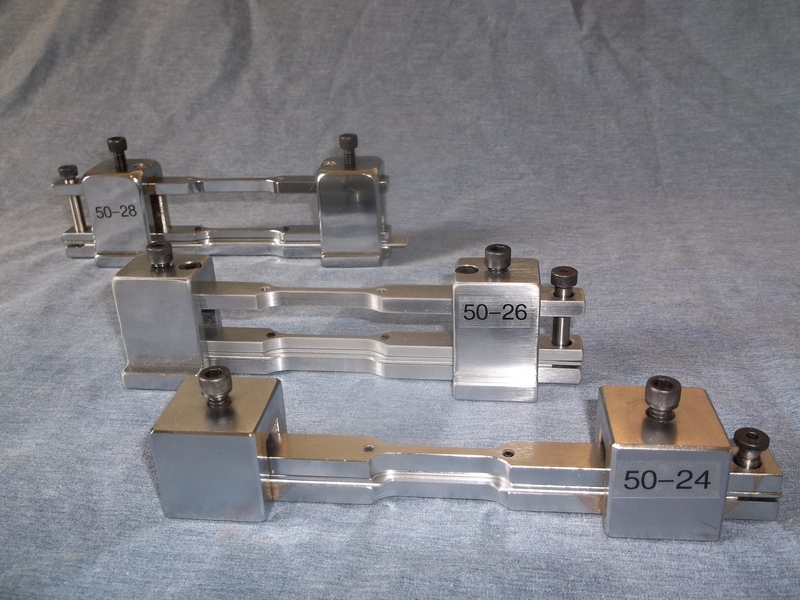 Additionally, since machinists will often turn bars using only the largest possible passes, the bar will likely need hand finishing to remove distortion caused by the turning process. Tensilkut has two machines designed to allow you to turn round tensile bars in accordance with ASTM E8, ASTM A370, JIS, DIN and ISO specifications in the lab. 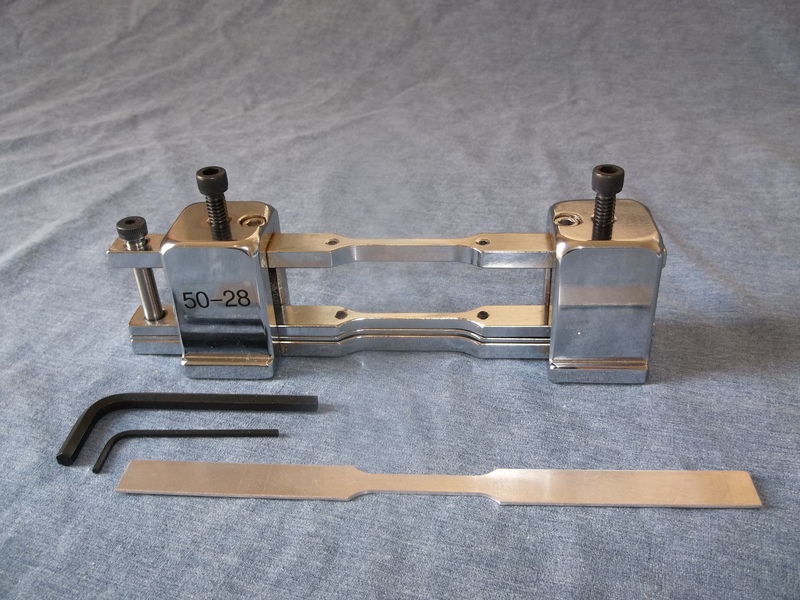 Technicians without previous machining experience can learn to run these machines in short order; as with our other machines, these machines are supplied with a self-instruction manual, so it can be used by different operators as time goes on. The Tensilathe/505 is our semi-automatic tracing lathe. It operates from a Master Template, which controls the shape and dimensions of the specimen. 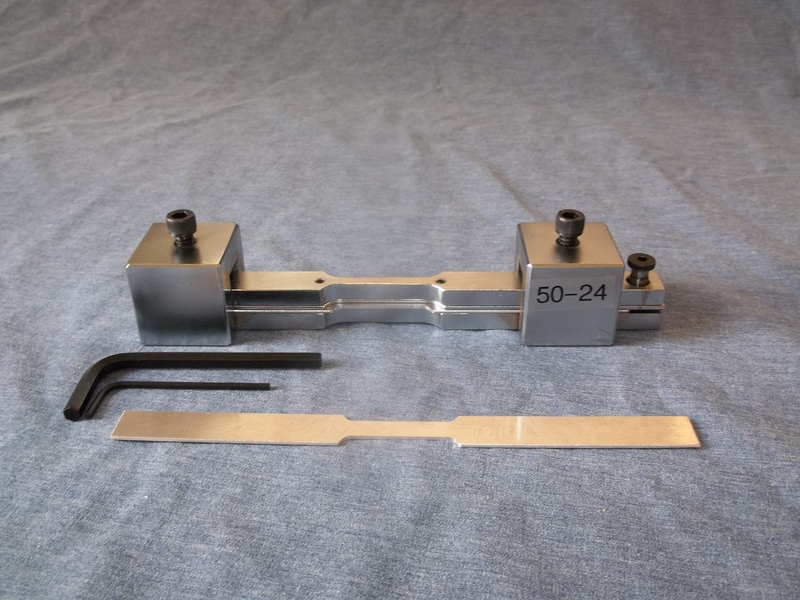 The operator needs only to dial in each cut to prepare a perfect tensile bar. The CNC Tensilathe is the automated round test specimen preparation system. This machine runs on a Windows-based microcomputer; specimen preparation is accomplished with a point and click software system. After setting up the specimen, the operator is free to complete other tasks while the sample is turned automatically. Please call 865-982-6300 for further information, or fill in the contact form below for a speedy response. 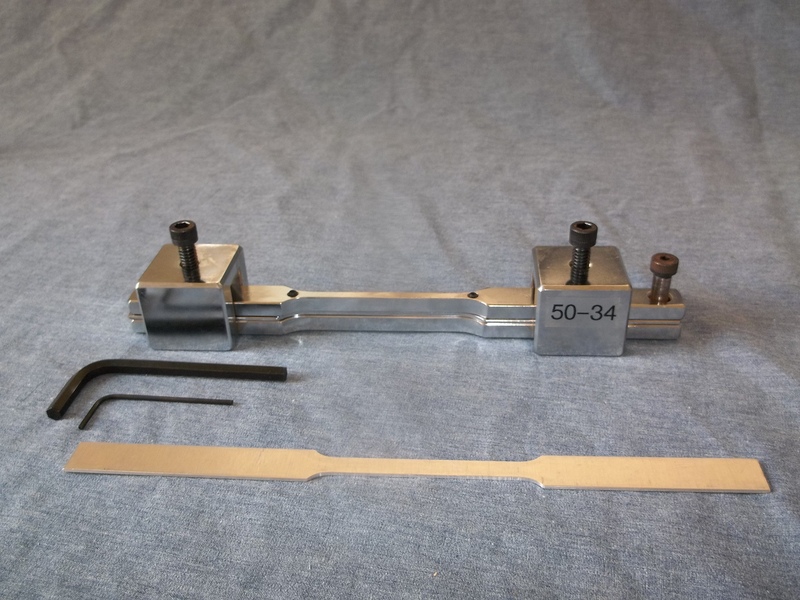 In this day of instant electronic communication, it’s hard to believe that 60+ years ago, not only was everything mailed, but Tensilkut’s catalog, when it arrived in the mailbox, contained a tensile test bar which had been cut on the Tensilkut. The 1955 Tensilkut catalog included a drawing of the only tensile bar we made at the time, along with an actual specimen! I don’t imagine the founder of Tensilkut ever imagined a time when we could not only send information to customers nearly instantly, but also a time when we’d be able to make videos available for people to see whenever they wished. Despite sea changes in communication, the need for his original machine remains very real – and at least one of the machines made in his first couple of years remains in service today.